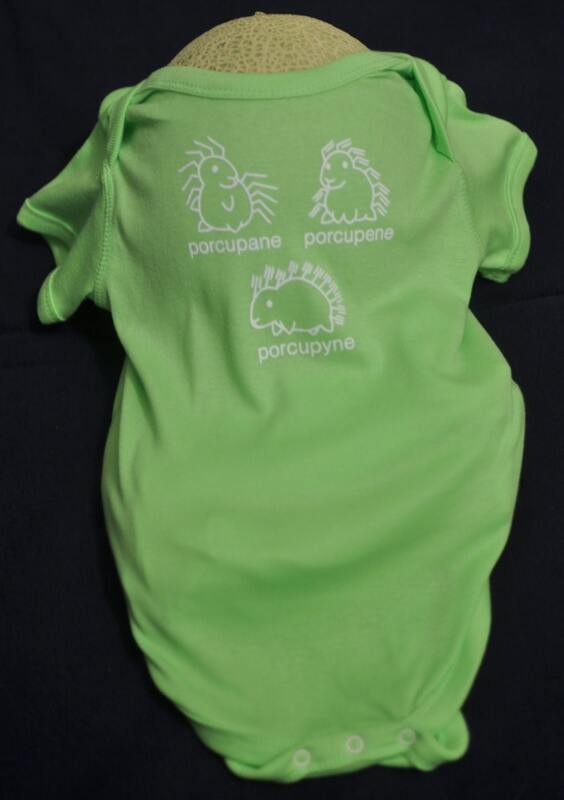 Rabbit Skins Infant One-piece (onesie) with white Porcupane Porcupene Porcupyne graphic on the front and a blank back. Sizes available are Newborn, 6, 12, 18, and 24 months. Colors available are Turquoise (Blue), Raspberry (Pink), and Key Lime (Green). If you have any questions please don't hesitate to email me at connor [!at] porcupyne.com. Thanks! Q: What are the dimensions of the onesies? A: CustomInk provides a few good charts for the Rabbit Skins Infant One-pieces used. The link is below. Q: Is [blank] another site where these can be purchased? 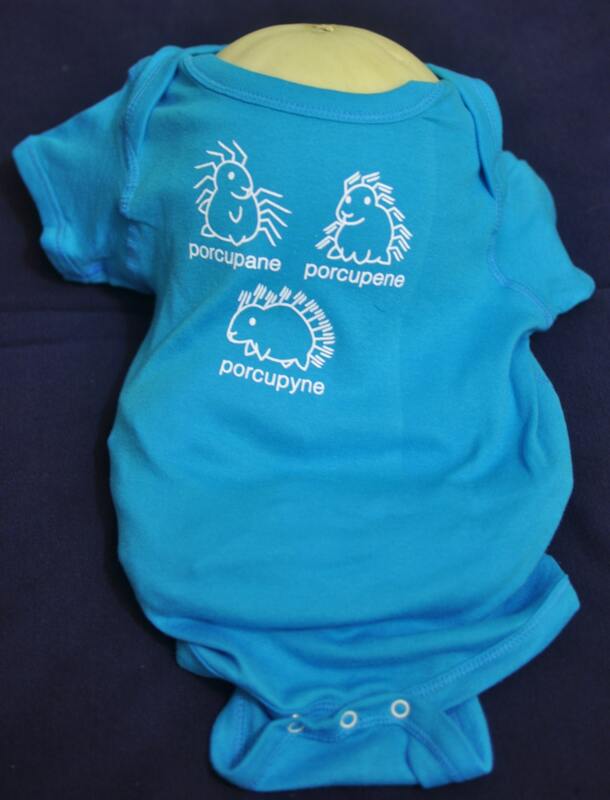 A: The official onesies can only be purchased on Etsy and at http://porcupyne.com/. If you find any other source providing them please let me know. I really appreciate everyone that has helped with this. Q: Do you have other products with the same design? A: Yes! Shirts, mugs, and stickers are currently available through my Etsy shop. If you'd like to see the design on something else I'd love to hear about it! Email me at connor [!at] porcupyne.com.